If you’re in the throes of planning your perfect wedding, you probably already know about the endless checklist you have in front of you. The venue, menu, guests, the dress—groomsmen, gifts, and playlists. Planning your perfect wedding requires organization—and the only way to get organized when planning your wedding is to establish a timeline and write down your plan. And to get the ball the rolling, we have put together a guide to planning your wedding. Ah! The dreaded budget. Budgeting your wedding has a reputation for taking the romance out of the affair—but your wedding is much more than the flowers you hold or the dress that you wear. It’s your love. With that in mind, devising a smart budget will help you determine what you’re willing to spend on your perfect wedding. It will also show you where you have funds to reallocate and prioritize what it is you really want to spend your money on. Maybe it’s the dress, maybe the photographer, or maybe a stellar place to host it all. There’s a season and reason to be married. Have you considered the time of year you’d like to step down the aisle? Spring or summer, winter or fall, remember to size up your perfect wedding before setting your heart on a venue, regardless of it being indoor or outdoor. Drawing up a rough guest list in advance can help you project the size of the venue you’ll need. Will your wedding be a blowout or an intimate affair? The answer’s in your guest list. Depending on how many people you plan to invite to the wedding, the size of the venue may need to change. We recommend that you cover the basics: create an all-encompassing list of guests who are on the fringe of invitation and slowly work your guest list down. Decide if you’ll be allowing plus ones or inviting your brother’s girlfriend’s mother (some folks are on the skirts and need to be cut, no holds barred). The highlight of a wedding for many guests is almost always cocktail hour. Planning a thoughtful menu for guests during cocktail hour is the way to prime their palates for an exceptional dinner course. Sit-down dinners are elegant and traditional, however, if you’re trying to save money, consider themed food stations like pasta, carving, and dessert. When planning your perfect wedding, be sure to be cognizant of any food allergies or dietary restrictions of your guests. A good venue and caterer can and will accommodate to almost any diet. You want every extension of your wedding to capture exactly what you want. From photographers and videographers to florists, DJs, and stylists, the vendors you choose are responsible for delivering your dream, and that’s no simple task. Do your research and know what you want from each vendor before booking a service. You’ll want to know what you’re getting before you get it and how much to expect to pay for it! Once you book a vendor for a service—be it a baker, a DJ, or photographer—keeping an open line of communication will help you stay on track. Check in frequently with vendors who are on a schedule or require your involvement to keep the story straight and give you peace of mind while your plan is coming together. Ready to start planning your perfect wedding? 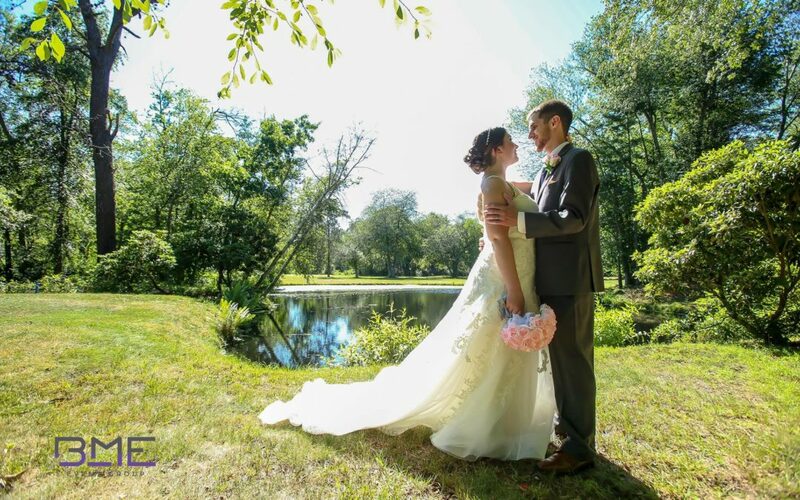 Eastlyn Golf Course & The Greenview Inn is the premiere wedding venue destination in Southern New Jersey. With both indoor and outdoor wedding options, in-house catering services, and wedding packages suitable to your budget, schedule an appointment to see our venue, golf course, and Ballroom, or to discuss your menu plans. Eastlyn Golf Course & The Greenview Inn is located at 4049 Italia Avenue in Vineland, NJ.